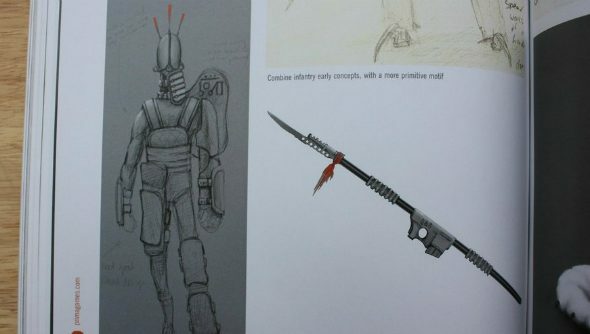 Pages from the publisher’s proof of Half-Life 2 concept art book Raising The Bar are making their way online for hungry eyes to behold. You can keep checking our upcoming PC games list but we doubt Half-Life 3 will be in there anytime soon. 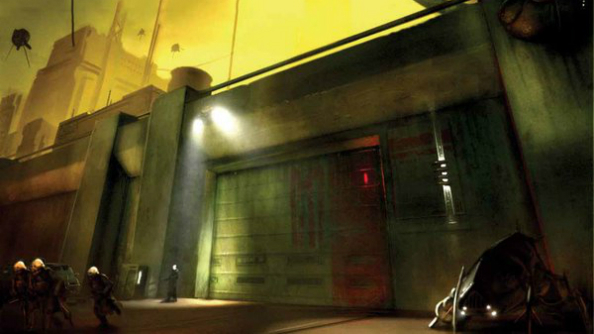 The book, a limited production run made before final edits to the 300-page volume, contains an extra 100 pages of artwork and details from across the Half-Life saga. Bought from eBay for $45 by a US fan of the game, Russian fansite Half-Life Inside has been posting snippets from the galley proof (olde tyme name for this type of pre-publishing copy) and the new owner plans to scan and upload the rest. Some of the details, including concept art of the cut “Crab Synth” area of the sequel, have been found previously and unearthed by another HL fansite, Valve Time. Many of the differences between this proof and the final copy appear to be minor, such as another version of Dr. Breen’s in-game model next to the modeling reference photo of Roger Guay, director of an Electric co-op in the nearby North Bend, Washington. It’s a neat development for a beloved game so old to still have a few secrets left to tell. If you want to keep up to date on the newly-scanned pages, keep an eye on Half-Life Inside.